On the afternoon of June 9, while chasing the fugitive sloop Hannah, the unthinkable happened. The HMS Gaspee ran aground in low waters off the Rhode Island shore on what was then called Namquit Point. Unnamed Sons of Liberty, once alerted, sprang into action. In the early morning hours of June 10, before high tide could rescue the British man-of-war, the rebels boarded it, shot its commander, and burned the ill-fated vessel to its waterline. The year was 1772 and the newspaper industry was dying. Of the thirty-seven weekly broadsheets published in the thirteen colonies, only eleven reported on what came to be known as “The Gaspee Affair.” By 1783, primarily due to lack of revenue and the logistical problems caused by the Revolutionary War, the Colonies would be down to only about twenty newspapers. Are You a Loyalist or A Rebel? 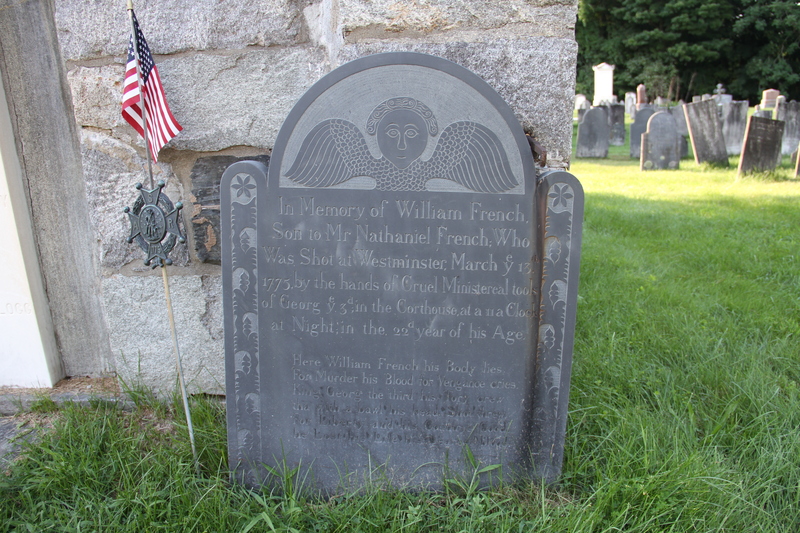 On a late Winter morning in 1775, William French woke up for the last time. The lively 22 year old lived in the Town of Bennington, a municipality only five years older than the young adult. Self-named by Benning Wentworth, Governor of New Hampshire, the small hamlet lay on the west side of the Connecticut River, nestled in the broad curve of the oxbowing waterway in the fertile eastern valley beneath the Green Mountains. French walked that afternoon of March 13th along King’s Highway until he reached the farm house of an eccentric old patriot by the name of Capt. Axariah Wright. There he met Daniel Houghton and nearly 100 other men. They were there to tackle a pressing problem.